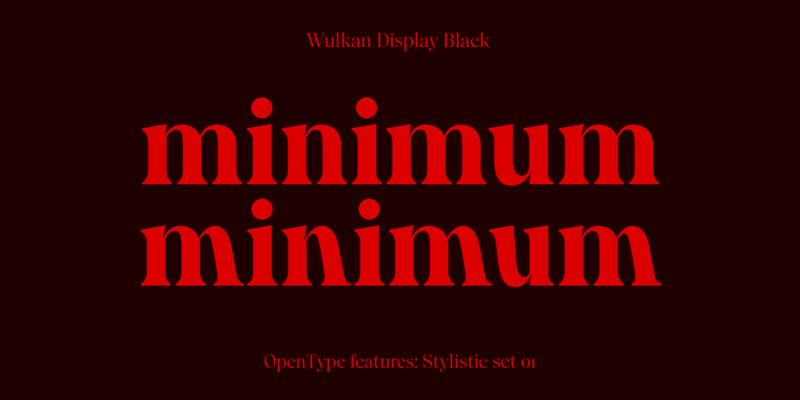 Wulkan Display is a modern interpretation of old style types. 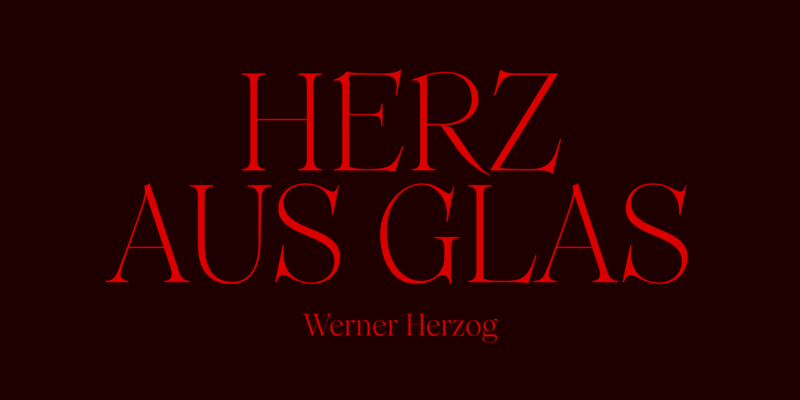 Drawing its inspiration, among others, from the lettering work of Herb Lubalin and Tom Carnase. 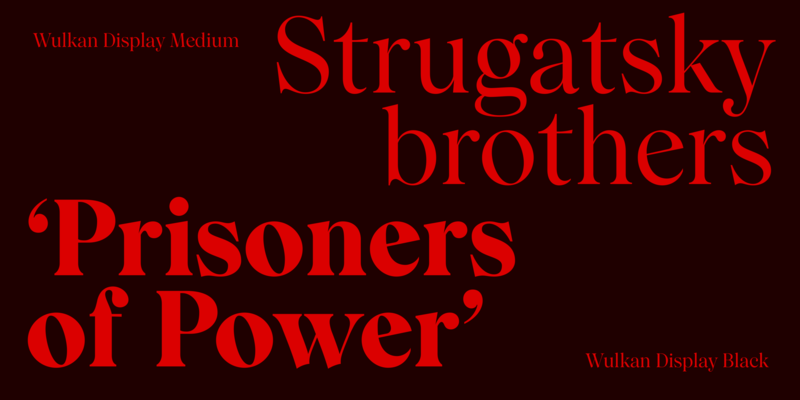 Thin hairlines, sharp, exaggerated elements contrasted with ball terminals makes a flamboyant typeface designed to be used on larger applications. Thanks to slightly compressed proportions, short ascenders and descenders it can be set very tight for a strong visual impact. 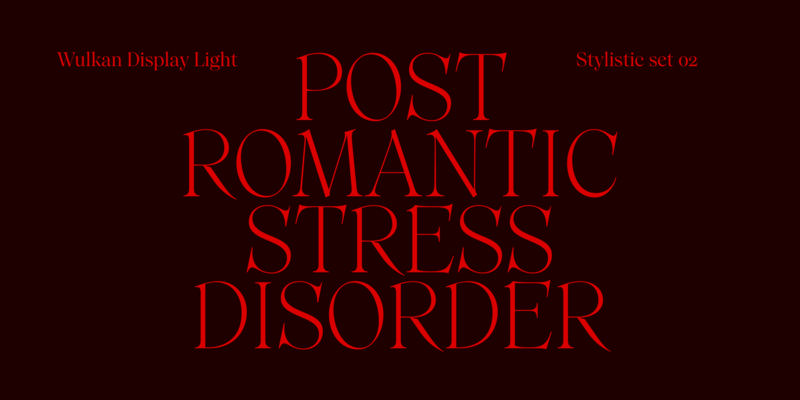 Designed by Jan Estrada-Osmycki between 2015 and 2019. 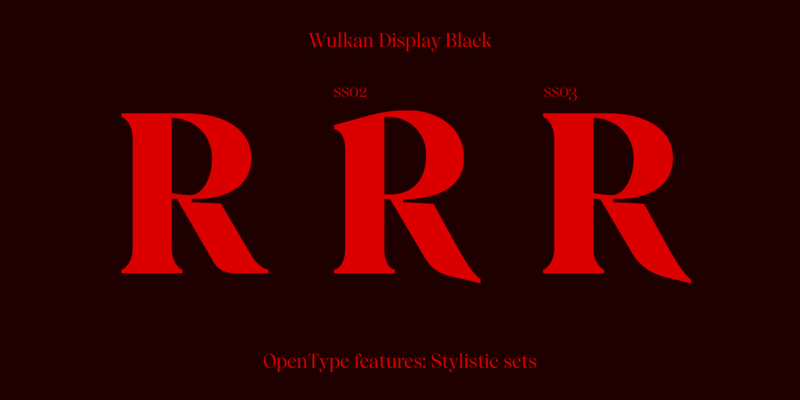 Weights offered include Light, Regular, Medium, Semi Bold, Bold and Black with three stylistic sets, lining/oldstyle figures. 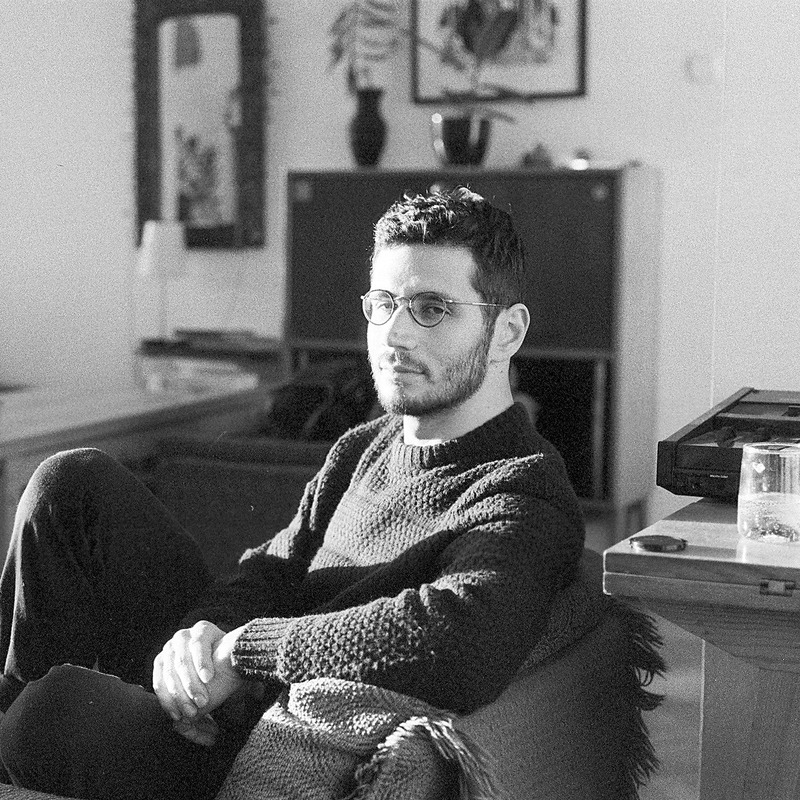 Jan Estrada-Osmycki is a Polish-Mexican designer, visual artist and musician. Member of Zbiorowy art group. Composes and produces music under the Bass Jan Other moniker.